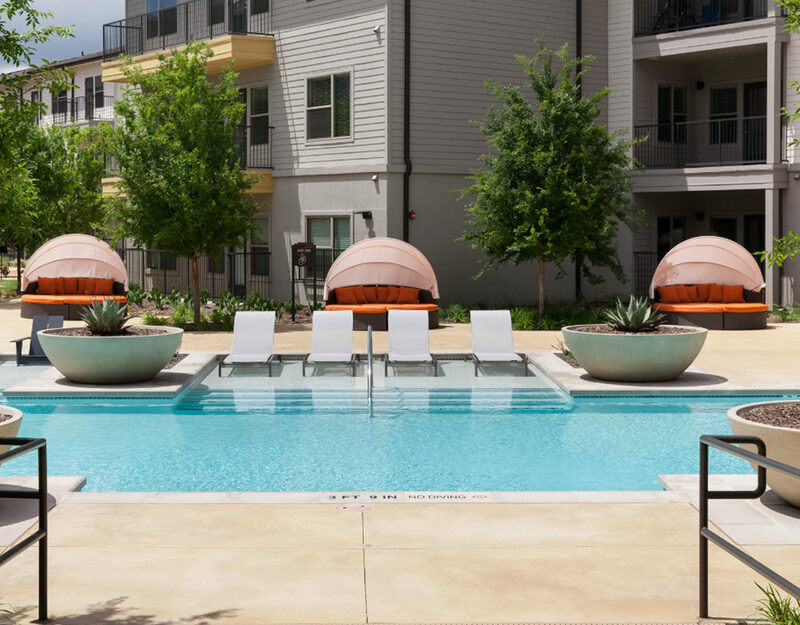 Located within easy reach of downtown, Trinity Groves and Bishop Arts, this community features natural textures, peaceful outdoor lounges and an artistic atmosphere. Splash in the resort-style pool with private cabanas, grilling ad gaming areas. Cross-train in the strength, cardio gym and yoga studio. 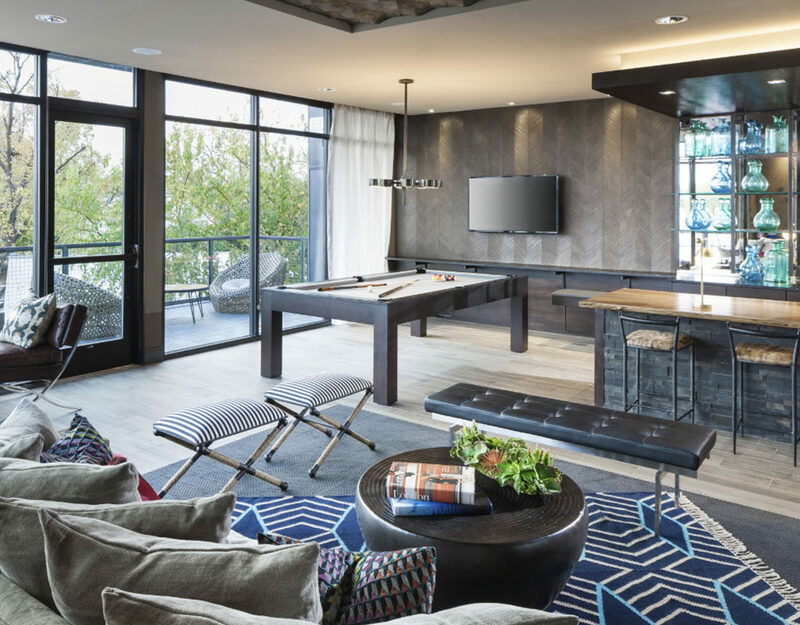 Relax at the skyline terrace with direct views of downtown and the Margaret Hunt Hill bridge. 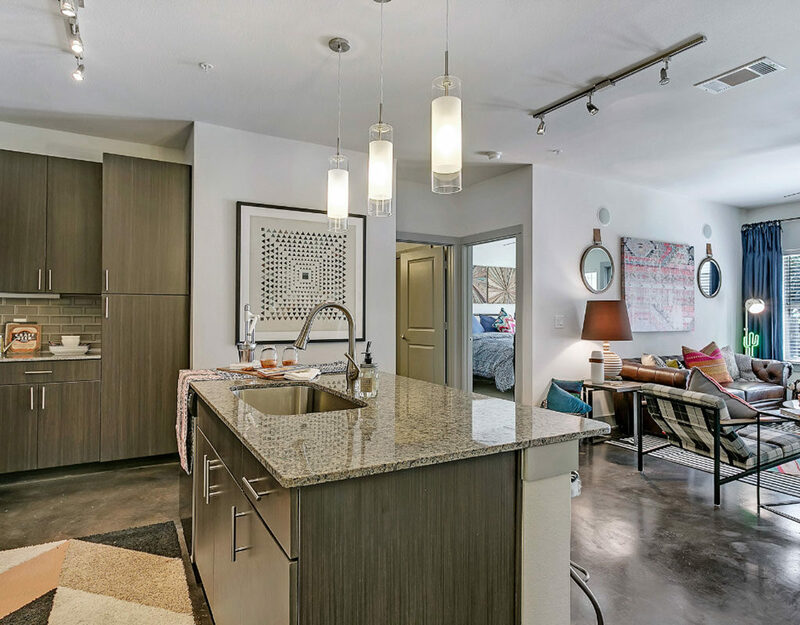 9' ceilings, granite counters and stainless steel appliances with in-door water dispensers.